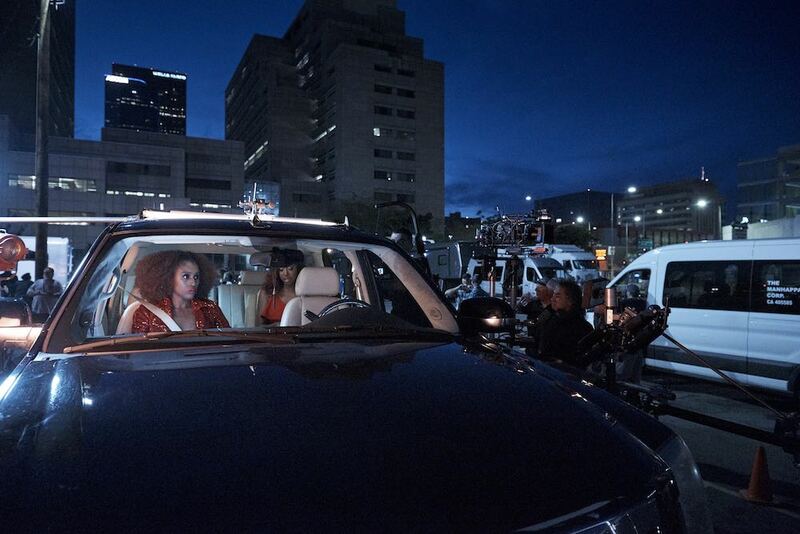 Acclaimed Somesuch director Kim Gehrig‘s latest work for Covergirl, created with Free The Bid pledged agency Droga5, presents a new take on beauty marketing. 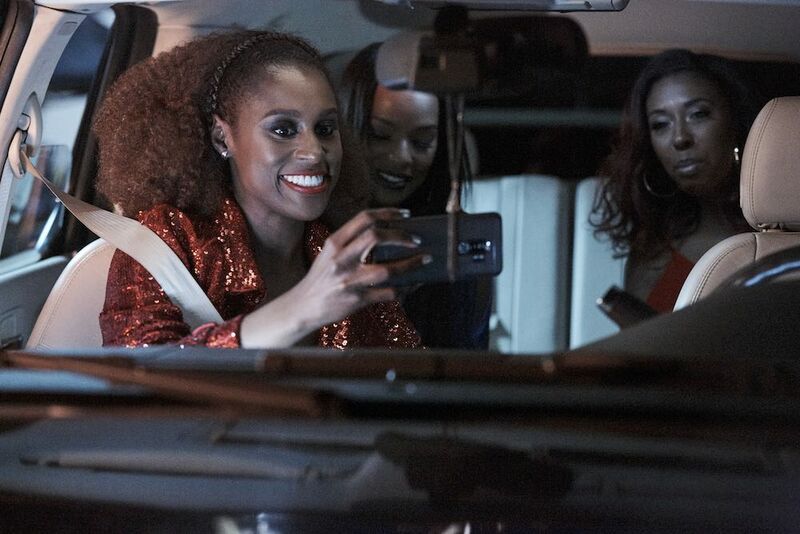 Writer and comedian Issa Rae, best known for creating and starring in HBO‘s Insecure, re-applies her sparkly red lipstick in the passenger seat of a car, on the way to a night out with her real-life girlfriends. The group banters and pokes fun at one another in a way that rings true to the rhythms of deep, close friendship – their conversations about the lipstick feel accurate to the way real women all over the country bond with their inner circle over pre-party beauty rituals. Kim’s direction blends the flattering lighting and high-gloss look of traditional cosmetic advertising with expert comedic timing, crafting a final spot that presents women discussing beauty in a way that feels authentic to their intelligence, wit, and the texture of their real lives. Born and raised in Australia, Kim Gehrig studied at Central St Martin’s School of Art and Design in London. It was here that she began her career – on the other side, working as a creative at advertising agency, Mother. Eight very well spent years in the agency eventually led to her transition into directing, where she has created an extraordinary body of work to become a force in the global advertising market. 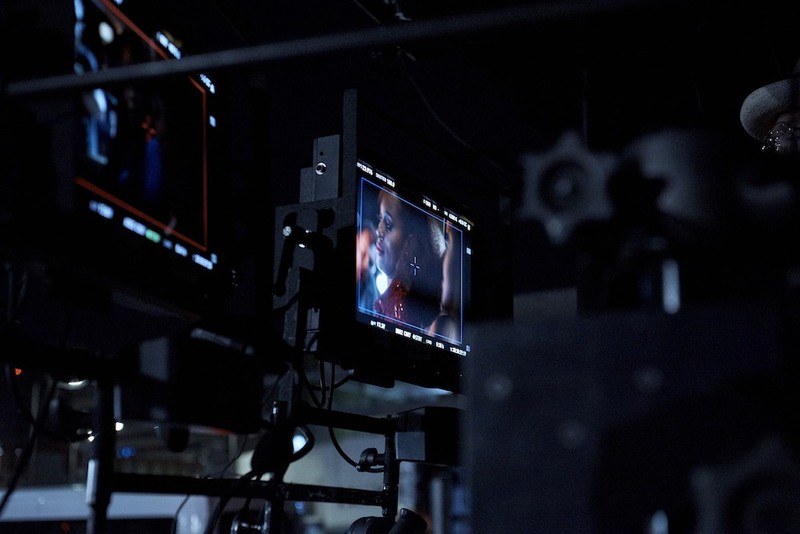 We spoke with Kim about working improvisationally with Issa and her friends, showcasing the beauty of women with character, and the humanism at the core of her directorial philosophy. This isn’t the first Covergirl spot that you’ve shot recently. What qualities of the brand’s new marketing direction are a particularly good fit for your directorial vision? I love that Covergirl and Droga5 are exploring new territory in the beauty category and breaking conventions in that genre of advertising. Not only are they taking women out of the studio, but also respecting them as intelligent and multidimensional individuals. In this spot in particular, I was drawn to the use of comedy – it is rare to have anything to laugh at in a beauty ad. What was the initial brief from Free The Bid pledged agency Droga5? How did you build on the idea when you came on board? Droga had written a great script about ‘Shading’ which featured Issa. 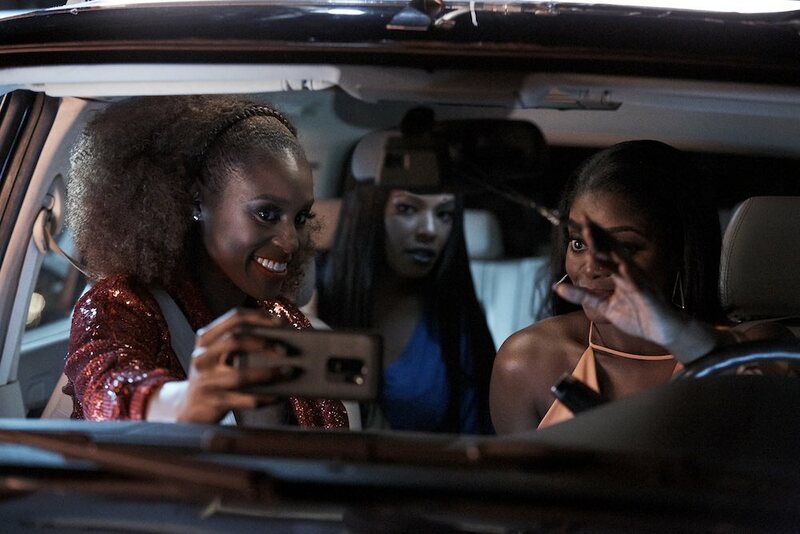 The script I initially read was set at a party, but I suggested it be set in a car to give a more naturalistic context for both applying make-up and friendly banter. It would give us a ‘sitcom’-like location to let the jokes play out. The creatives had originally written it in a car, so together we developed the script to work as a pre-party drive. 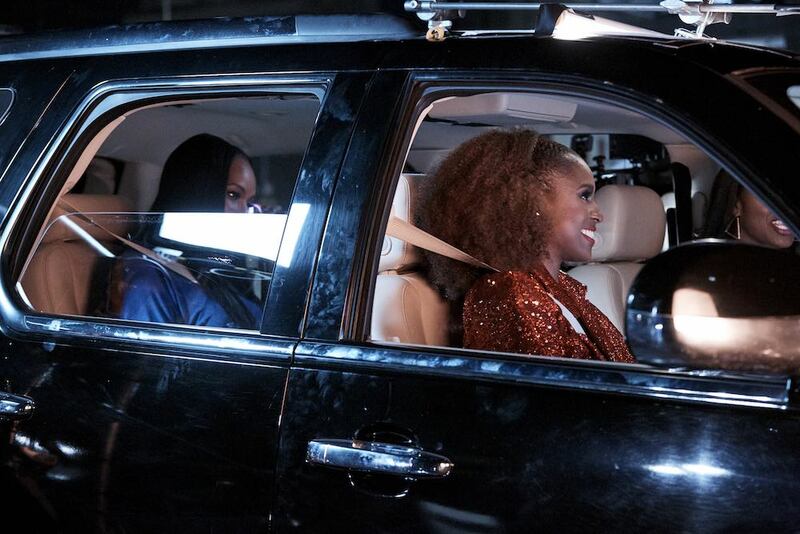 How did the decision to feature Issa Rae alongside her real-life best friends come about? Issa was already one of the Covergirl tribe when I came on board, and her talent alone was something that sparked my interest. As we were after the most ‘naturalistic’ comedy, we then asked her if her real friends would consider being in the spot. We were thrilled when they said yes, as it really gave the film an honesty that I love. The girls were genuinely hilarious, and considering we only shot for a few hours one Saturday night in downtown LA, they delivered so much great stuff that we were spoiled for choice. What work did you do with the cast to prepare in advance of the shoot? What kind of direction did you give them once you were on set? I actually kept away from too much advanced prep with the cast on this one. I was keen to capture a spontaneity and genuine banter, so I deliberately didn’t rehearse them. As Issa’s friends are ‘real’ people, I didn’t want them to feel they were delivering ‘lines’ but more that they make it their own…which they certainly did. Did the cast’s organic chemistry with one another make it easier to capture authentic-seeming conversations? How scripted were the interactions depicted in the film? Yes, their natural chemistry was key. We began with a very tightly written script, but we gave the girls the nugget of each joke and then let them run with it. Issa is a brilliant writer and comedian in her own right so we wanted her to let her bring her unique flavor to the film. Often, we would let the girls banter until they were literally crying with laughter. I’d say the spot ended up 50/50 of scripted vs. improvised lines. What was your inspiration for the look and feel of this spot? I wanted the ‘look’ to be really ‘beauty’ and flattering. So much comedy is quite simply lit, but I wanted this one to be the ultimate marriage of beauty and humor. Coverage of this work has emphasized the fact that it represents a new direction in beauty marketing by showcasing the way real-life women bond with one another over makeup. Do you think that highlighting the wit and deep friendships between Issa and her friends is indicative a shift in the way that cosmetics are being advertised? I hope so! I think it is really important that women are shown as funny and intelligent and even flawed in advertising, rather than just perfectly retouched mannequins. Women with character are the ones who are truly beautiful, I think. How does this spot relate to previous work that you’ve shot? I have done a lot of work with ‘real’ people over the years, so it was nice to bring that to a beauty context, which isn’t normally open to that. You got your start as a creative in advertising before moving into an acclaimed directing career. What lessons did your time as a creative teach you, and how do you apply these skill sets to your work as a director now? You can’t make great advertising without a great strategy. You need to have a bold and unique creative leap to start with long before you start thinking about the actual film making. Being Australian originally but living currently in London and working all over the world, what differences have you perceived in shooting for different international markets? I actually think most markets I work in are united in the desire to make great, bold, work at the moment. You never know where the best scripts will come from – it could be Europe, the US or Australia. There is an international hunger to push it right now. What are some of the previous projects that you’re most proud of, out of your prolific body of work? This Girl Can (Sport England, FCB Inferno) is probably what I am proudest of, because it really impacted behavior and touched loads of women’s lives. What kinds of storytelling do you hope to have the chance to explore further in future? I’m mostly looking for work with a humanist perspective. I’m really interested in all the idiosyncrasies of being human and the stories, either male or female, that explore who we are. I think it is imperative to have diverse perspectives behind the lens. It is the only way to truly change prejudice in society. When we see another person’s point of view or way of living, it is impossible to then ignore it. In closing, what advice would you give to an aspiring woman director looking to break into advertising? Go with your gut and never take ‘no’ for an answer.